A lamp and books for reading in bed! Board games to play with my family! Dresser for my school clothes. The bedroom of my dreams! When you donate money to Habitat Kids Care, 100 percent of your donation will go directly towards outfitting a child’s room in an upcoming Habitat for Humanity build. Last summer a local seven year old took it upon herself to do something profound for her community, and now Habitat for Humanity of San Juans is honoring her commitment with a new Habitat Kids Care program modeled after her efforts. Like a lot of kids, Addison Harmsen of Montrose, loves her bedroom. It’s her very own haven where she not only rests, but also spends countless hours playing. Last summer, when her parents—who are active volunteers and board members of Habitat for Humanity of the San Juans—explained to her what Habitat does for the community, Addison had a lot of questions about the bedrooms of the children who move into those homes. “She wanted to know ‘Do they have toys? Beds? Dressers?’” said Amy Harmsen, Addison’s mom. For two days last summer Addison, with the help of her parents and little sister Bella, set about selling tattoos and apricots—two things she had an abundance of—outside of Coffee Trader and Cornerstone Home Lending in Montrose. Addison raised just over $100 that went directly towards making a bedroom for a local child truly special when they moved into their new home. 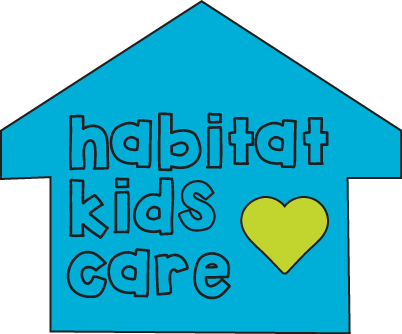 In the spirit of Addison’s efforts Habitat for Humanity of the San Juans announced this week the launch of a new program, Habitat Kids Care, which will dedicate 100 percent of donations specifically for children’s furniture, toys and decorations. Habitat also hopes to attract corporate sponsors to donate items like toys and bedroom furniture. In addition to specific donations made through Habitat’s website, Habitat Kids Care will also be the beneficiary of concessions stands throughout Montrose’s Summer Concert Series. “We want to honor Addison’s example and make sure that when a child moves into their new home they have the bedroom of their dreams,” said Executive Director Colleen Burke. Currently Habitat for Humanity of the San Juans is working to break ground on two residential triplexes in Montrose and Ridgway. Last year, a record year for the local affiliate of Habitat for Humanity, the organization completed five homes including families containing nine children.